Ladies are you ever looking for the perfect outfit that fits your style and also makes a fashion statement? Girl Boss Niqua Jeanette is giving women options for just that. As the owner of Thrift My Fashion Niqua gives women options for impeccable style for less. Thrift shopping started as just a hobby but is now her passion project business. So, move over or make space Sophia Amoruso, Girl Boss Niqua Jeanette is here, and Her Topic is all about thrifting, living your dreams, and fashion! Niqua: …to be in my apartment. I feel at peace and the most creative in my living room. It’s quiet, it’s my safe place, and that’s where I mostly feel like myself. Kristen: What does success mean to you? Niqua: Success to me means being genuinely happy in your passion. Someone can be completely “successful” and take home six figures, but also come home to an empty heart because they are not fulfilling what they truly want to do. Of course everyone wants to make money, but what’s the point of having money if you don’t have the love for why you are actually making it? Kristen: Define your style for us? Niqua: My style is literally all over the place. I thought I knew what my style was, but I recently realized it’s how I’m feeling at the moment when I’m getting dressed. My style changes with my mood. One day I’m super chill and simple. I’ll wear graphic tees and dress it up. Other times I’m super boho chic with flowy dresses and my kinks and natural hair flowing. I think it’s important to dress how you feel and find what makes you comfortable. Kristen: What did you want to be when you were a child? Niqua: Growing up I wanted to work in the medical field. I actually wanted to be an orthodontist. After middle school I realized that wasn’t a passion of mine and I shifted my dreams to becoming a fashion designer. I actually sewed and put together a whole fashion line in 11th grade and had the chance to display my designs in a fashion show. I put down the sewing machine a year later…I still think about it from time to time. Niqua: I have so many people who I am inspired by, but I would have to first say my mother. She had two daughters at a young age, put us both through college, and never steered us wrong. She’s also a G and very firm on her decisions which inspires me to be the same. I am also inspired by Michelle Obama. Her class, grace, elegance, nurturing ability, and intelligence inspires me as a black woman to be caring but firm…even outspoken when needed. I can go on! My grandma inspires me because she is always so caring. From a business standpoint, I am inspired by Fashion & Beauty Editors Elaine Welteroth & Kahlana Barfield. Who can forget about Oprah –The Great? I can honestly talk all day about ladies who have paved the way for black women and motivate me everyday to wake up giving 100%. They all inspire me to be the best I can be. Niqua: Ahhhh!! I’m going with sneakers. There’s something about these new Adidas that has me hooked. Kristen: What’s one thing you can’t live without? Niqua: I cannot live without my sister. She’s pretty much my everything. She’s the chill to my chaotic life. She’s the ying to my yang, the peanut butter to my jelly… All that corny stuff! Haha! Kristen: So tell us, when did you decide to venture into entrepreneurship? Niqua: I decided to venture out to entrepreneurship about 2 years ago. I loved thrifting and I decided I wanted to make money from it, so I thought– why not resell the fabulous items I wear? I always got questions about where found my clothes. My closet was also packed to capacity so I jumped on the idea of selling what I wore and helping others feel and look fabulous! Kristen: How do you know when you’ve found a vintage item that your Thrift My Fashion shoppers will love? Niqua: It’s actually hit or miss shopping for my TMF customers. That’s the beauty and downfall of the business. Everything you think might sell, actually might not. I try to pick a variety of items for every day customers. I might throw in some professional clothing, then I switch it up by adding hipster style and trendy colorful items in the mix. Kristen: Do you solely make income from your business? Niqua: My sole income does not come from my business but my hopes and dreams is that one day it will. I still work full time in the marketing industry and I would be lying if I was to say it’s not overwhelming at times. It’s definitely important to stay consistent with your side hustle because you don’t want to lose your passion. Balancing your business with life, work, and relationships can be hard, but if entrepreneurship is what you want, you will always figure out a way to make it work. Kristen: Three fashion favs you can’t live without are…. Niqua: I cannot live without a graphic tee, boyfriend jeans, and statement earrings. Can I add beauty in there as well? Mascara, fabulous nails, and a good moisturizer for sure. What is something that you admire about female entrepreneurs? 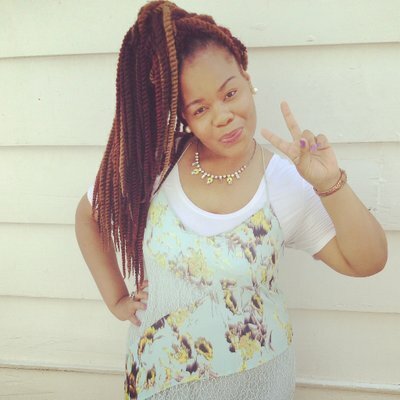 Niqua: Female Girl Bosses inspire me so much! I recently went to a Startup event hosted by StartUp Sisters USA here in Atlanta. The event was filled with women who are in the process of starting a business or have a small startup. It was very inspiring and I admired being around strong women who were confident in what they wanted to accomplish and confident in the way they spoke. They presented themselves well in addition to why their inventions are needed. I walked away wanting to reinvent myself. I wanted to write my goals down and go full force with accomplishing them. That sense of sisterhood within the female entrepreneurship is what we need. I feel like we can be forces when we are together and supporting one another. Kristen: If you could work alongside any woman this year it would have to be? Kristen: Quote to live by? from the Thrift My Fashion Closet.